A transportation monster that lives under the tracks? SEPTA announced a new contest on Monday that could produce some unsavory responses. So be nice, Philly. The transportation system put out a call for mascot ideas that best represent the true nature of SEPTA. It's most likely trying to capitalize on all the attention the city is getting these days for our wacko creative mascot ideas. The mascot will join the likes of the Eagles' Swoop, the Phillie Phanatic, the Union's Phang, and the newest and possibly most controversial mascot — Gritty. 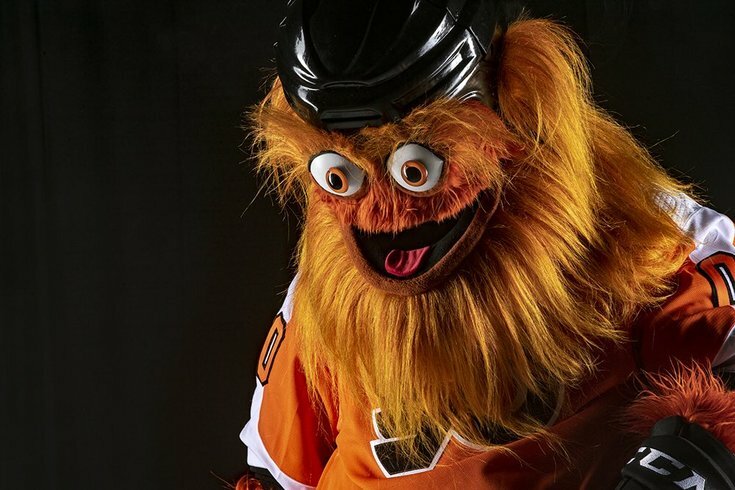 SEPTA wants an origin story to go along with the overall look of the thing like the Flyers did with Gritty, who supposedly emerged from the depths of the Wells Fargo Center. So that's why it looks like a monster that has seen some horrible things in its time. But hey, the city is finally warming up to Gritty, so anything is possible in mascot world. The contest description states multiple times to "keep your entry positive and friendly" and "please be nice." Because we all know the jokes that could come out of this. Oh, and apparently there is already a safety mascot named Paws the Transit Dog, but SEPTA is looking for an official mascot, not just for safety. Sorry, Paws. So fingers crossed everyone keeps things PG. Or don't and just send your sarcastic stories to me instead. Have an idea? Enter the official contest here. You have until Oct. 24 to come up with the most ingenious stories you can. The top 11 "most thoughtful" entries will be selected for prizes, the grand prize being a November Anywhere Trail Pass. 10 runner-ups will get a SEPTA T-shirt. The last SEPTA contest for a train announcer hasn't amounted to anything yet, so we'll see if this is just a marketing ploy or if something comes out of this.